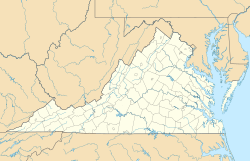 Heathsville is a census-designated place (CDP) in and the county seat of Northumberland County, Virginia, United States. Heathsville is the eastern-most county of the Northern Neck of Virginia, which was the birthplace of three of the first five Presidents of the United States - George Washington, James Madison, and James Monroe. The town itself is the county seat of Northumberland County, and has housed four county courthouses since the first was built in 1663. It is also home to numerous historical home sites, some dating to the late 18th century. The Heathsville Historic District, Coan Baptist Church, Howland Chapel School, Kirkland Grove Campground, Rice's Hotel, Oakley, St. Stephen's Church, Sunnyside, and The Academy are listed on the National Register of Historic Places. "Heathsville" is named after lawyer and politician John Heath. The population as of the 2010 Census was 142, but more than 5,000 people live within the Postal Service Zip Code area for Heathsville. It is located on U.S. Route 360 (the Northumberland Highway) west of Reedville and east of Warsaw. The area behind the old courthouse is home to a farmer's market the third Saturday of each month from April through October. This area also hosts craft guilds dedicated to the preservation and use of pre-industrial skills, including iron forging, wood working, quilting, and weaving . ^ "The County". Mar 21, 2017. Retrieved Feb 12, 2019. ^ "Historic Heathsville". Historic Heathsville. Retrieved Feb 12, 2019. ^ "ZIP Code 22473, Database - Heathsville Virginia Map, U.S. ZIP Codes, Heathsville VA". www.zip-codes.com. Retrieved Feb 12, 2019. ^ "Rice's Hotel - Hughlett's Tavern". www.rhhtfoundationinc.org. Retrieved Feb 12, 2019. ^ "Rice's Hotel - Hughlett's Tavern | Guilds". www.rhhtfoundationinc.org. Retrieved Feb 12, 2019. This Northumberland County, Virginia state location article is a stub. You can help Wikipedia by expanding it. This page was last edited on 12 February 2019, at 18:32 (UTC).